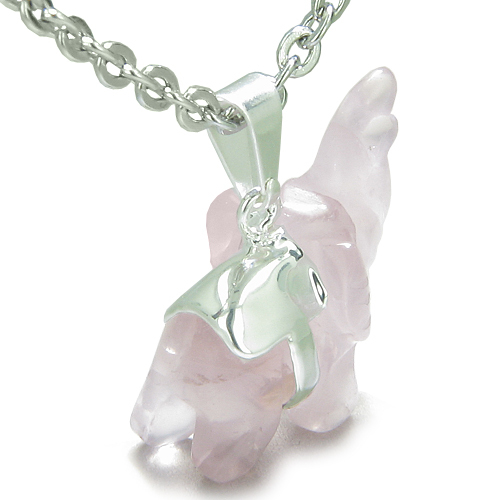 Lucky Charm Elephant Amulet made from Genuine and Natural Rose Quartz Gemstone. Each Elephant Charm is Unique and Hand Carved and Approximately 1 to 1 ½ inches long. No two pieces are ever alike. 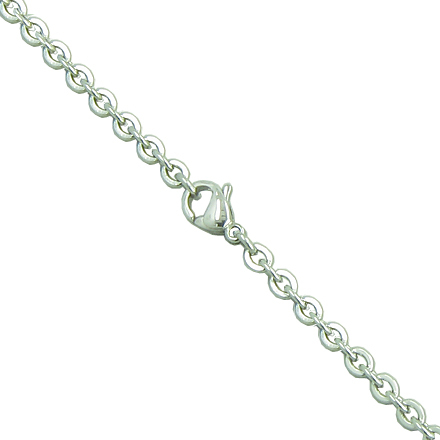 Charm holds Silver Electroplated Setting. Genuine Gemstones are used and may have Natural Specks and Inclusions. Very Special Elephant Lucky Charm Amulet made from Brazilian Rose Quartz Genuine Gemstone and set in Silver Electroplated Setting. Each Charm is Hand Carved and Absolutely Unique. This Charm is made from Rose Quartz Gemstone and Love Powers and Good Luck Amulet. 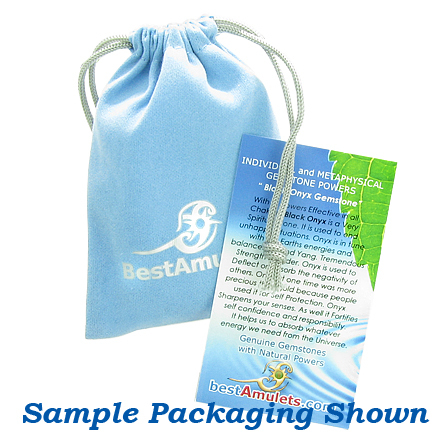 It comes with Ready to wear Gorgeous Link Style Stainless Steel Chain Necklace and Gift Style Velvet Pouch. It also includes Information Card about Gemstone Metaphysical Properties and makes it great gift idea for someone you love or for your self. Stay Lucky, Unique and Special with your Own Lucky Elephant Amulet.